We really, truly, don't know Peter Rucker's European origin. As of 2012, the best genealogical research has failed to produce substantiated evidence convincing enough to trace him across the Atlantic Ocean. Early researchers made claims which cannot be proven by any primary sources, and these claims continue to confuse and convince neophyte genealogists who may be eager to believe. Remember that earlier research is not necessarily better research, and we musn't believe everything we read. The Rucker Family Society has a great interest in tracing the origin of our American family's founder, and encourages all members in their efforts to put together the pieces of this puzzle. Until someone discovers the ship manifest, or family letters, or other documentation which places Peter in his country of origin, we must satisfy ourselves with the legends of his arrival on these shores. There are legends enough to pique our interest, and a common thread is calamity at sea. The most oft-repeated tale of Peter's arrival is that his ship went down, and he swam ashore to the terra firma of the Virginia Colony. Some relate that he bobbed ashore with the assistance of a keg or two of rum; some favor alternative spirits of brandy or whiskey. At one time, the Society's notepaper pictured Peter buoyed in the surf by the requisite keg, a romantic but purely fanciful image. In the biography of Rev. James Rucker from the 1882 History of DeWitt Co., IL it is claimed that Peter swam seven miles to Cape Hatteras, clutching a bottle of French brandy. In this case, the spirits were reward, rather than savior. 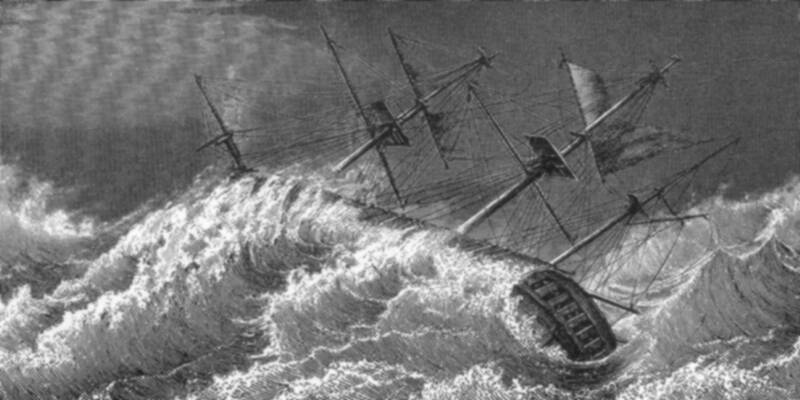 Another maritime story appeared in a letter from Marie Keeble Rucker to Mrs. George S. DuBois: Frenchman Peter Rucker abandoned his warship, The Rising Sun, when it was captured by the British, and reached shore "with great damage to the body from the effect of the salt water." Surprisingly, no mention of liqour in this version. Enjoy the legends, but as with any unsubstantiated claims of Peter Rucker's origin, take them with a grain of salt, and always insist on primary source documentation before accepting someone else's research. 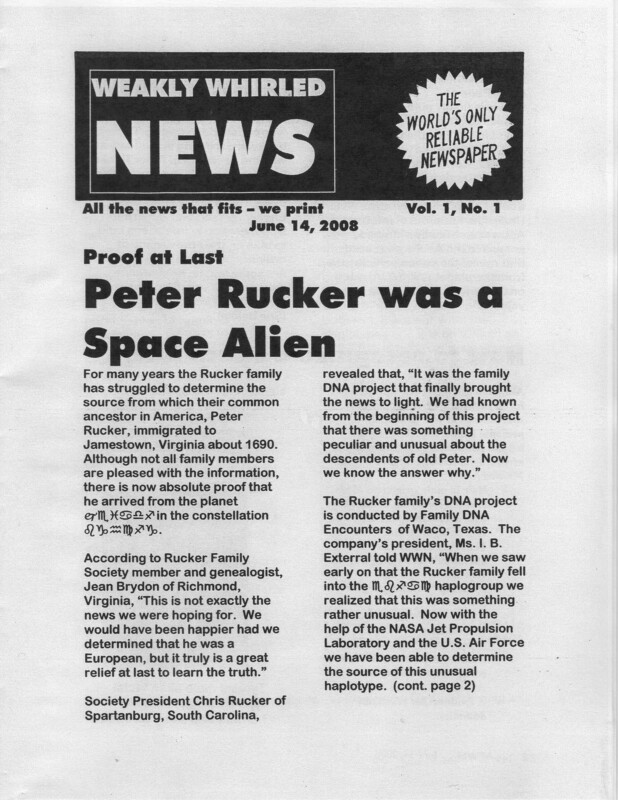 Other versions of Peter's arrival to America have appeared in the pages of the newsletter of the Rucker Family Society, and have been summarized here. And, for a completely different version of Peter's origin, Mr. Mike Rucker has offered his research here.